We complete a service act each day. 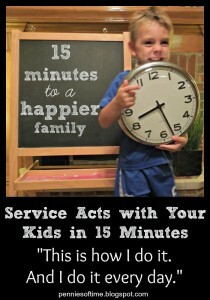 We just take 15-20 minutes to do it. Sometimes, they are planned. Sometimes, they are not. 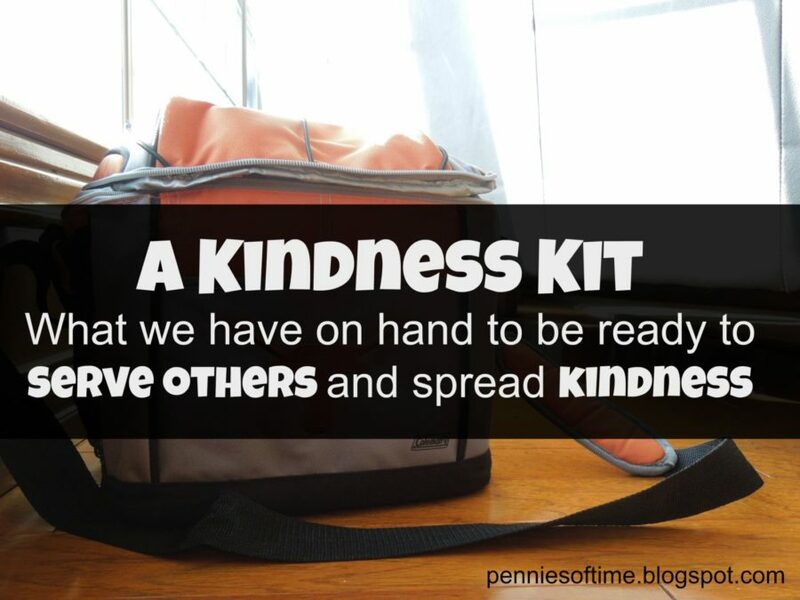 For those opportunities where we are out and about and see an opportunity to help another, we grab our Kindness Kit. In the winter, we have spare mittens. In the summer, we keep extra snacks and water bottles. 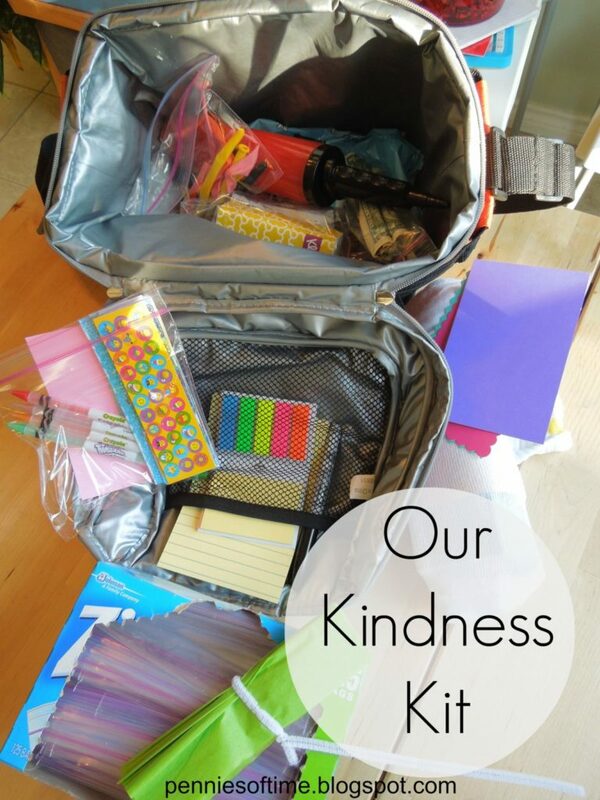 We enjoy our Kindness Kit so much that we have decided that new neighbors will get one from us with some easy acts of kindness to do with their families. 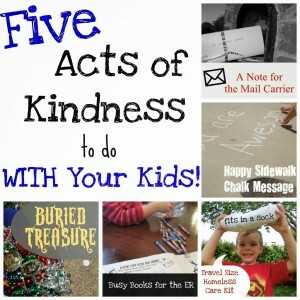 We started our Kindness Kit by putting in things that we used the most often in our acts of service. We put them all in a bag that was forgotten in the back of the closet. Newly repurposed, we filled the bag and threw it in the car. 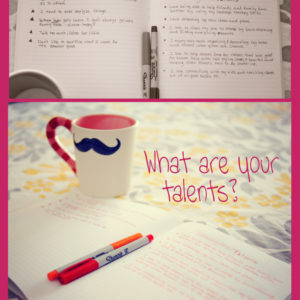 Nothing easier than that!